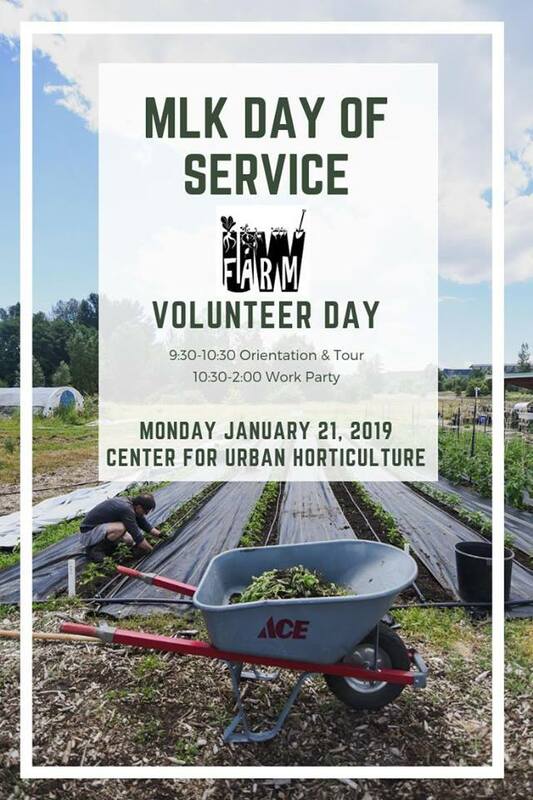 Monday, Jan. 21, 2019, 9:30 a.m. – 2 p.m.
Join UW Farm for a day of service to honor Martin Luther King. At 9:30 there will be a volunteer orientation followed at 10:30 by a work party. They will be transplanting, adding wood chips to the paths, propagating herbs and prepping beds for the season until 2pm.